The Museum is a setting to educate kids in finding their creative side and using that creativity as a spark to give them value and self-esteem. 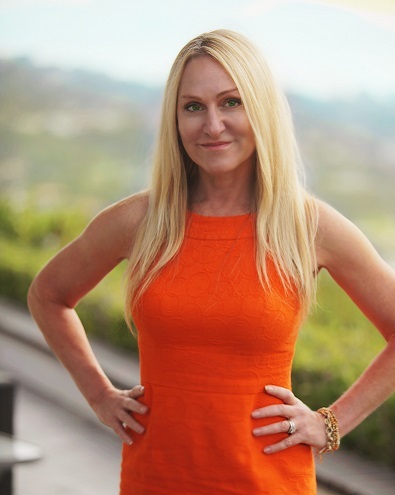 Celeste Hilling, CEO, Co-Founder and Product Formulator for Skin Authority, is a San Diego resident who enjoys a good workout on the Fitwall and is an active volunteer in support of both children’s and women’s causes, specifically the New Children’s Museum in San Diego. “The New Children’s Museum in downtown San Diego supports children of every background and demographic. The Museum is a setting to educate kids in finding their creative side and using that creativity as a spark to give them value and self-esteem. San Diego, like other large cities, has a large population of children who live in poverty. The work of the NCM gives them access to creative outlets that prepare them for careers and much-needed self-esteem lessons to break the cycle of poverty and neglect. As a businessperson, I have a commitment to my community to build the next generation of leaders. Due to the climate in education funding, I don’t feel there’s enough focus on innovation and creativity in schools and, many times, the right tools are not available either. Innovations tend to only be made available through extra-curricular activities that cost money. For so many families, there’s no extra money for those activities, which motivated me to be involved with the New Children’s Museum. Between being CEO, Co-Founder and Product Formulator for Skin Authority and serving as Chair Emertius of the New Children’s Museum Board, it doesn’t sound like Celeste experiences much of her guilty pleasure, down time.